A successful home purchase or sale nearly always starts with a good agent or broker. Real estate is a complex and continually changing business, and Lake Forest agents and brokers are trained and educated in its many rules, regulations and standards. 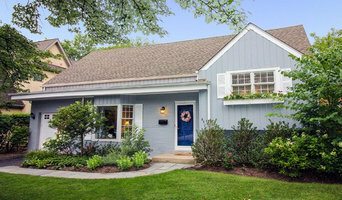 They have the inside scoop on different Lake Forest, IL neighborhoods and areas and know what constitutes a fair price in the market. Hiring a pro in Lake Forest, IL also means you won’t have to deal directly with the prospective buyers or sellers, which may save you some tension. Proud and honored to be 'Best of HOUZZ'!! Top 100 Realtor with @Properties and Home Stager with Clare Sells Homes in Chicago, IL. Celebrating 15 years of selling real estate and staging homes, Clare is one who exudes joy when describing how her passions and work all come together and gets fantastic results for her clients. Clare's goal is to provide her clients with a positive experience that achieves their financial goals in a quick turn-around time. A certified and experienced ASP (Accredited Staging Professional), Clare and her team offer enormous value-add to the home-selling process. As an ABR (Accredited Buyer’s Representative), Clare has the competitive edge on buyer support and negotiations. With over $145,000,000.00 in sales, and an average 99.16% sales price to list price, Clare ranks in the Top 1% in revenue by the Chicago Association of Realtors and is consistently in the Top 100 of @Properties 2000 Brokers. Successful careers in marketing, training and sales shaped her professionally; passion for home design, the "hunt", decorating, rehabbing, negotiating, and, more importantly, helping people define their vision and ultimately live their vision motivate her personally. Obvious strengths include a positive attitude, high energy level, quick study, strong knowledge of competitive pricing and marketing, unlimited resources through a huge professional and social network, a passion to create a win-win and an entrepreneurial "can-do" spirit. Raised in Oak Park, IL, Clare lives in a converted loft in Lincoln Park and has enjoyed living in four neighborhoods in Chicago as well as three cities on the East Coast. She has 10 brothers and sisters and is the very proud aunt to 28 nieces and nephews. Dave Chung - The premier "digital-first" broker on the North Shore! Dave Chung is an accomplished technology entrepreneur, real estate investor, and filmmaker. His combination of analytical and creative skills appeal to both buyers and sellers alike. Being an experienced digital marketer and technologist, Dave brings the next generation of marketing and sales techniques to his clients. Whether it be spinning up custom websites and landing pages, to hyper-targeting buyers on Facebook, Dave knows the ins-and-outs of today''s digital landscape. As an experienced real estate investor, Dave uses his analytical skills to help find you the best deal in the market, or get you top dollar for your home. His proprietary decision-matrix for buyers helps combine quantitive and qualitative aspects of each home you visit to compare your options on a level playing field. Additionally, Dave spent 15 years as a film and video producer in Hollywood and Chicago. Having worked among the film industry''s most celebrated artists, Dave deeply understands the creative process of storytelling. His skills in this arena will help craft a unique story for your home, and his technical chops give him the ability to generate amazing video and 3D experiences in no-time. Above all, Dave''s highest priority is his family. He loves spending time on the North Shore with his wife Amy and their two children Campbell and Manning. Chances are you''ll catch him on the tennis courts, hacking away on a laptop at a local coffee shop, or randomly delivering breakfast burritos to his friends in the area. Because who doesn't love breakfast burritos? And if you''re still reading this, then you absolutely deserve one hand-delivered by Dave (just ask)! One of Chicago’s most accomplished real estate brokers, Leslie Glazier sets a standard in her field for knowledge and experience, plus a style of providing service that combines a deep understanding of the market with genuine care about her clients. As an @properties Top 100 Broker, Leslie helps sellers maximize their sale price and minimize market time, while helping buyers by being their advocate and confidante throughout the buying process. 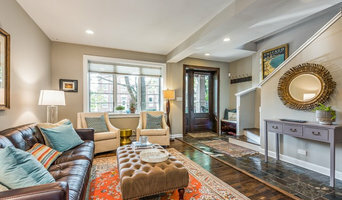 And as an Accredited Home Stager, Leslie’s keen eye for design and one-of-a-kind marketing techniques assist her clients in preparing their homes for sale and in attracting rock-solid buyers. Leslie’s caring attitude toward those she represents is part of what makes her such a skilled negotiator, for she wants the best for her extended family of clients who soon learn they can depend on her throughout every transaction. To those who’ve come to know Leslie Glazier in work or in everyday life, it comes as no surprise that she’s one of Chicagoland’s premiere brokers. Most of her family is in the same field, you might say a knowledge and deep understanding of Chicago real estate runs in the family. Not only has Leslie built a 20+ year career as a real estate broker, she knows the Chicago homeowner landscape from first-hand experience, having lived in some of the city’s most exciting and vibrant neighborhoods: the Gold Coast, Lakeview, currently Lincoln Park, as well as in Glencoe and Evanston on the North Shore. Leslie is also a certified relocation broker with extensive experience in client relocation services. She has worked closely with over 20 different relocation management companies and dozens of corporations to make sure the client’s relocation experience is a smooth one. Whether you are a first-time homeowner, seeking an investment property, or a transitioning empty-nester, Leslie will work tirelessly on your behalf. When Leslie’s not showing a home, closing a deal, or being asked for advice based on the “gut” renovations she’s done on her own homes and investment properties, or inviting photographers into her current Lincoln Park home for design book Chicago Spaces: Inspiring Interiors, she can be found enjoying family time with her husband, four children, and two dogs. And don’t forget her dancing shoes. Even with all that, Leslie recently competed in the 2018 Dancing With The Giordano Stars. The rest of the time, she reaches for the stars for her clients and their real estate dreams. Susan is known among her clients for her clear and sincere commitment to their needs, her honest approach, her wealth of industry knowledge, creative energy, and stellar negotiation skills. Thus, the majority of her business has thus resulted in a client base that is largely repeat clients and referrals. After her battle with breast cancer in 2004, Susan approaches her profession with the same heart and determination that have enabled her to be a “survivor.” She applies this same fighting spirit when it comes to negotiating for her clients and being able to tackle and overcome the challenges of our current real estate market. Each and every year, for the past 6 years, she is proud and passionate about donating a percentage of her earnings to Breast Cancer Research. As a 45 year native of the North Shore, Susan prides herself in extensive knowledge of the market up and down “The Shore.” After graduating from New Trier East High School, she attended the University of Michigan and the University of Arizona and earned a B.A. in Psychology with high honors.Susan loves being the mother of her two teenage children, Jordan and Monique, enjoys being the youngest and only girl in a family of four, and spending time with her 89 year old Mom. She currently resides in the suburb of Glencoe. When time permits, Susan makes gourmet meals and delicious baked goods for her family and friends, travels todifferent parts of the world and plays tennis. Last, but certainly not least, Susan loves to laugh and have fun with all those around her! 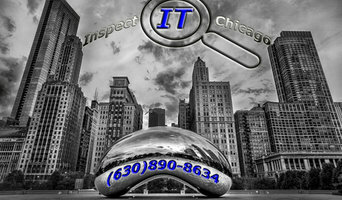 We are licensed home Inspectors with over 20 years experience in the residential construction world. We are also licensed radon measurement professionals. Full Time Realtor in the Chicago Suburbs. With over 25 years of diverse business experience, over 14 in direct real estate sales, I have a wealth of knowledge at your disposal during your home purchase or sale. I am always on top of the latest issues affecting the market. I am fully educated on Foreclosures, Short Sales, Home Staging and of course, Negotiating. My professional memberships include: National Association of Realtors, Illinois Association of Realtors, Main Street Organization of Realtors and Midwest Real Estate Data LLC (MLS). If you are looking for an honest, dedicated Realtor to work for You, look no further. The MG Group is lead by Mario Greco at Berkshire Hathaway HomeServices KoenigRubloff Realty Group. The MG Group specializes in representing clients who purchase and sell condominiums, townhomes, single-family homes and income property within the City of Chicago and the Northern, Western and Northwest suburbs. Real Estate Sales Professional dedicated to providing a Platinum Experience to all of his clients in Chicago, Chicago's West/Suthwest/South Suburbs, and Northwest Indiana. Tony has served as a Director to the Chicago Southland Chamber of Commerce, Real Estate Advisor to the Chicago Southland Economic Development Corporation, co-founder of the Chicago Southland Real Estate and Banking Council, and founder of a local business leads group. He has been a speaker for the Women’s Council of Realtors, the Chicago Southland Real Estate and Banking Council, RE/MAX Northern Illinois, and RE/MAX International. Real Trends magazine named him as one of the Top 500 Brokers in the United States for 2010 and he is named in the annual Power Broker Survey for 2010. I've been successfully trading business for 17 years in Lake County. With knowledge, experience, perseverance, and deep commitment to providing excellent customer service to my clients, colleages and business partners, I thrive on helping buyers and sellers achieve their real estate goals. I am a full time realtor and real estate broker. I have been selling real estate since 1998 with my wife and real estate partner, Susan Starwalt. Today we have a real estate office with agents and office support staff to help clients reach their real estate goals. Our agents works with buyers, sellers, short sales, foreclosures, new construction, investors and more. At Better Homes and Gardens Real Estate Star Homes are passionate about real estate and conduct our business with integrity. You can rely on the full support of our real estate office's knowledge, experience and dedication to your successful real estate sale or purchase. Real estate consulting from architectural design including floor plan and finish through construction, marketing and pre-sales. Projects range from individual single family to high rise new construction. Janet Borden, "Jan Can," is proud to be a top producing Real Estate agent with Coldwell Banker, specializing in helping buyers and sellers in Highland Park and the surrounding North Shore suburbs. Although Janet lives and specializes in Highland Park, her other areas of expertise include, Deerfield, Lake Forest, Lake Bluff, Glencoe, Wilmette, Winnetka, Northbrook, Bannockburn, Riverwoods and Lincolnshire. Being a Top Realtor for over 20 years has given Janet a deep understanding of how important the buying and selling process is to her clients. She really listens to them and keeps their best interests in the forefront at all times. Janet is a skilled negotiator, sensitive to people's needs, patient but persistent and one of the hardest working agents on the North Shore. She is a leader in technology incorporating her own full service web site, social media networking , client web sites and all of the latest tools available to fully service her clients. With hundreds of closed transactions and experience in all different market conditions, Janet is well equipped to handle all aspects of a sale or purchase. Janet has hands on experience with renovation, historic homes, new construction , and investment properties. Janet started her career as a full time real estate professional in 1983. She quickly rose to top salesperson in her office and received a Lifetime Million Dollar Award and Lifetime Co-op Award from the local Real Estate Board. She was also named to Coldwell Banker's President's Circle, placing her in the top 2% of associates nationwide. Janet is a skilled negotiator, sensitive to peoples' needs, patient but persistent. She is an expert in her field and a consistent multi-million dollar producer with years of experience and hundreds of closed transactions. Janet also served for many years on the Real Estate Board's Arbitration and Education Committees and has taught adult education real estate classes at a local college. 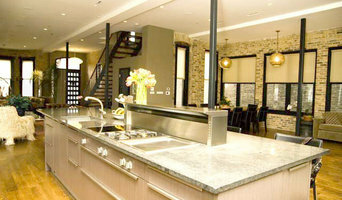 Janet has hands-on experience with rehab, renovation, and investment properties. She also has expertise in the New Construction Market. Real Estate Professional Realtor with 28 years experience selling Lake County and Northern Cook County Real Estate.